No need for a detailed introduction today. This is the continuation of my list of 20 Favourite Comics and Novels Read in 2015. You can read the first part here. As I mentioned on Wednesday, one of my personal goals in 2015 was to read a few really challenging books. One of those was Inherent Vice. Another one was Peace. If you’ve ever read a book by Gene Wolfe you won’t need convincing that his books are difficult to read and worth the effort required to understand them. It’s never a problem to finish reading a book by Wolfe because his prose is simply beautiful. It’s complex, but mostly approachable. It challenges the reader without being off-putting. With Peace, one of his earliest novels, Wolfe clearly demonstrates that he is a master of literature. I’m often confused by the lack of discussion surrounding his impressive body of work online. Then I look at the number of books I’ve written about here at SUR and I shut up. Reading Peace last year was an attempt to start fixing that but like the other books on this list that I didn’t review, I read it during a time where I was working on a big project and I wasn’t focused on regular reviews. 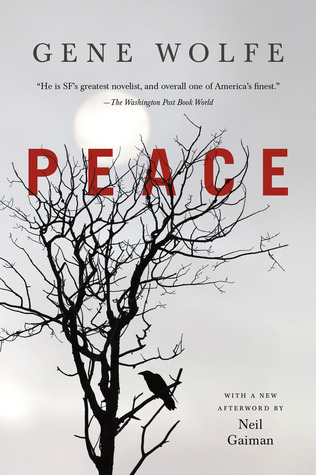 In Peace, Wolfe builds a very complex story with the use of one of his main storytelling tools, the unreliable narrator. Also important to the story is the use of memories. The plot of the book is pretty simple at first glance, but much of it is made up of lies and the reader figuring out what really happened (or at least questioning the veracity of what you’re being told). Doing this is the start to really appreciating what this novel has to offer. The book begins with an old man thinking about his past. Each section of the book jumps from one period of his life to another. Along the way Wolfe gives us impressively detailed and engrossing passages that would have been beautiful short stories if published separately. On their own, on the surface level, these are great and somewhat anecdotal pieces of fiction. When looked at together in the context of the novel’s real plot (not an old man, exactly, nor really a memoir), it’s powerful stuff. 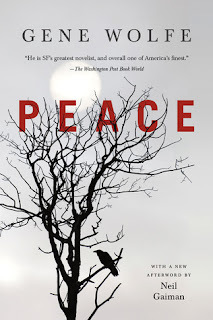 Like it sometime happens when I talk about really excellent books that have impacted me on an emotional level, I feel inadequate talking about Peace. From what I can tell though, it’s a forgotten masterpiece that modern audiences need to find and experience. Masashi Kishimoto ended his impressive run on Naruto in 2014. In 2015, I almost reached the halfway point. I still don’t have an exact idea on how the overall story will unfold but as this point in the series (up to volume 33), Naruto is one of the most impressive manga I’ve ever read. It’s a particular kind of long form storytelling that we don’t usually see in North America comics. There is no status quo to be found, each volume continues its forward progression with new ideas, new plot, and newly uncovered secrets. With this comic, Kishimoto has built an entire world, populated with generations of shinobi, waging war and trying to make peace. While it’s a wholly original world, many shonen manga tropes can be found mixed into the narrative. This doesn’t lessen the impact of Naruto nor does it ruin my enjoyment of it because Kishimoto uses those well-known tropes in a context we haven’t seen before. 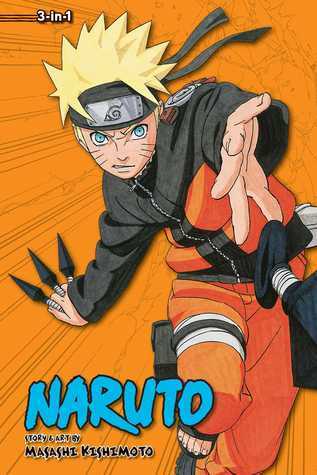 All nine volumes I read this year (in the practical and cheaper 3-in-1 omnibus editions) take place in the second part of the overall Naruto story. Here our protagonists are older and their actions directly impact the relations between the different shinobi countries. It’s been a great pleasure to see characters from other countries introduced and developed while also seeing how well-known characters have changed during the time jump between Part One and Part Two. I was amazed how Part One felt like a complete mega arc but also supplied a lot of seeds for future stories. Part Two is where we get to see some of those seeds germinate and I really can’t wait for my next batch of Naruto books to come in. I’m also really looking forward to seeing more of Kishimoto’s art. The guy is a boss and I’m curious to see if the level of details in each chapter continues to hold up throughout the rest of the series. Without a doubt, this is one of my all-time favourite shonen manga. Buy Naruto 3-in-1 volume 9 (25-26-27) at Amazon. Buy Naruto 3-in-1 volume 10 (28-29-30) at Amazon. Buy Naruto 3-in-1 volume 11 (31-32-33) at Amazon. Redshirts shouldn’t be nearly as good as it is. One of many surprises and new discoveries for me this past year was reading my first John Scalzi novel. While I’m not directly familiar with his work, I know enough of it to see that some of Scalzi’s novels are fresh perspective on tired or well-known science fiction ideas. His famous and acclaimed Old Man’s War series is based Joe Haldeman’s The Forever War and Robert A. Heinlein’s Starship Troopers. With Fuzzy Nation he’s written a retelling or a reboot of H. Beam Piper’s Little Fuzzy. With Redshirts, a book that is many different things all in a single, cohesive package, he writes a loving pastiche of the original series of Star Trek. Had it been only that, this would have been a hilariously enjoyable book. 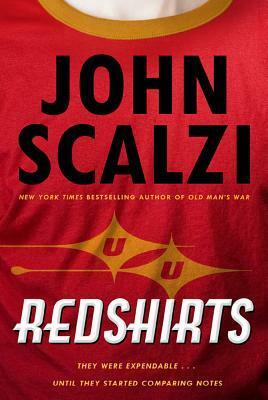 Scalzi, however, had a larger story in mind for Redshirts. that could proudly stand amongst the classics of science fiction. Since I read American Gods in my teens, I’ve been a Neil Gaiman fan. I’ve followed him anywhere and I’ll continue to do so as long as he continues to write. The man rarely disappoints. I’m pleased to read whatever he writes without question. That is until I found out he would be writing a Sandman prequel. For the first time since being a fan, I was a little worried. Not a lot, mind you, but even being just a little worried about his new project was enough to freak me out a little. That never happened before and it’s because Sandman is one of the greatest stories I’ve ever read. How would Gaiman be able to write something so many years after concluding his initial story? Would it hold up? Sure, he’s written Sandman stories since then but they weren’t directly tied to the main series and as such they had a certain freedom that allowed Gaiman to do what he wanted. 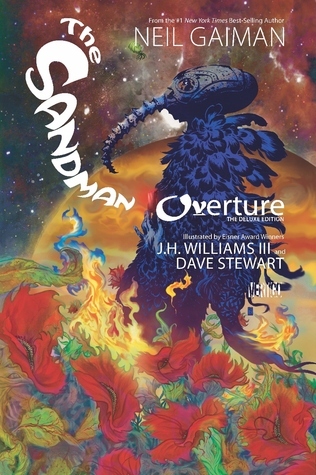 The Sandman: Overture was intentionally set just before the events of The Sandman and that meant there where quite a few obligations on the story before Gaiman ever started to write. I shouldn’t have worried. Gaiman, J.H. Williams III, Dave Stewart, and Todd Klein delivered. For starters, this book is gorgeous. It’s lush with details and filled with stylized page compositions. Every time you turn the page it feels like you’re entering a new world of fantastical wonders. It took two years to produce this six issues series but every day that passed was worth the wait because Sandman has rarely looked this good, if ever. Even better is that the story Gaiman and his co-creators are telling is huge and immersive, matching the quality and depth of the art. I always thought that the story of Dream was complete in The Sandman but Overture made me think that stories featuring Dream are, like the character, Endless. You could tell these kind of stories for decades and never run out of steam. Lucky for us readers, Gaiman knows which stories to tell and which questions to answer in order to give us lasting satisfaction without oversaturating our bookshelves with content. Overture is a grand story revisiting one of comics’ best series. A must read for all fans of serious comic book storytelling. Buy The Sandman:Overture at Amazon. I’ll start by saying that I won’t write more about this book than I have to. I’m working on a long review and/or appreciation of Carry On because it was the last great surprise of 2015. Picked up more or less on a whim, I didn’t exactly know what this book would contain. I was interested in reading Rainbow Rowell’s Fangirl when it was originally published but as these things happen, it evaded me and I didn’t think about it again. Until I read somewhere, briefly on Twitter, that this was a fan fiction retelling of Harry Potter, or something like that. That caught my attention. Oh, and by the way, Harry is gay and he’s in a relationship with Draco who is a vampire. What? What is this crazy book? In the amount of time it took to read less than 140 characters and quickly research this book, I was intrigued by the possibilities. I bought copy, curious enough to read it while still having low expectations. How could this book be any good? Has the author even read Harry Potter? Rowell, what are you playing at? Clearly Rowell knew better than I did. This book, even though it’s listed at number 6 on my list, changed me. I mean that quite literally. It’s given me a new perspective on fandom. Not just Harry Potter fandom, but fandom in general. It’s a concept I’ve struggle with before and I often find myself at odds with other fans of things I really like or even love. The most vocal people in any fandom are often considered overzealous fanatics and I find that to be very off-putting in most situations. Carry On has helped me deal with that and kind of get over myself. It refocused what my problem was with fandom (and it was mostly my problem) and helped me understand how I can overcome it. More importantly, Carry On is simply a really good book. Very enjoyable to read. Very fresh, a little edgy, engrossing to a fault, and deeper than expected. This book is denser than its style of prose would have you believe. That’s not to say the prose is bad, it’s not. It’s just a style of prose that I don’t read often as it’s usually found in newer books. Rowell’s style is that of an author with mature sensibilities that hasn’t lost touch with her eternally youthful self. It’s not entirely workmanlike prose, but it’s not stylized or complex like that of some other works on this list. 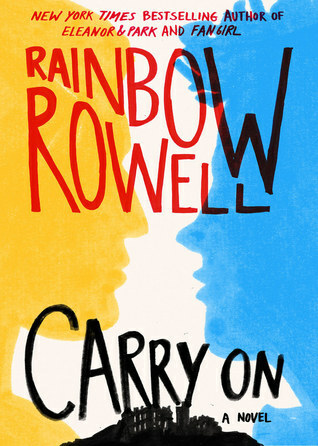 I didn’t start Carry On with much hope, but I ended it a changed person. I’m still trying to put my reaction into words and hopefully I’ll have that posted on the blog soon. Buy Carry On at Amazon. 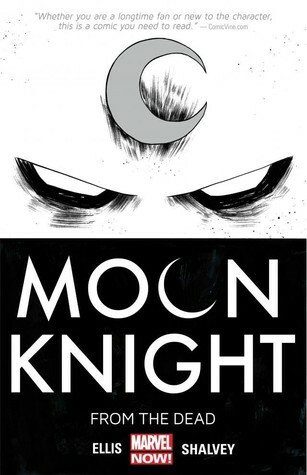 Moon Knight will always be remembered as the comic that introduced me to one of my favourite comic book creative teams. The combined efforts of Warren Ellis, Declan Shalvey, and Jordie Bellaire are impressive and inspiring. Moon Knight: From the Dead is a pretty simple comic. It’s not really the story that makes it good, it’s the story’s execution. 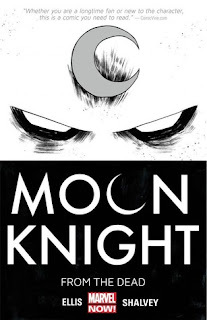 Ellis provides the reader with enough information to understand Moon Knight’s character and what drives him. Once that is completed, he creates scenarios in which the character’s particular personality and abilities can be showcased. It’s at this point that Ellis takes the back seat and plays a supporting role to the art team. This comic is Shalvey and Bellaire’s show. Ellis provides them with a storytelling frame in which to execute certain ideas. Each issue gives them the freedom to explore a new aspect of visual storytelling. The impressive and imaginative uses of colour by Bellaire supports the story of eachissue. She also expertly weaves her art with that of Shalvey’s who manages to be stylish yet provide reader with clear page layouts and crisp linework. His ink washes are also a beauty to behold and I simply can’t get enough of them. Thankfully this creative team has gone on to create a new series called Injection. I have the first volume on my shelf and I’m really looking forward to spending some quality reading time with this book in the new future. Buy Moon Knight:From the Dead at Amazon. Does anybody remember my unfounded criticism and prejudice with Stephen King and his work? Well, actually sitting down and reading his novels have proved to be an effective antidote against that kind of negative and harmful attitude. I’ve only read two books by King in 2015. Well, kind of. I’m still working on the massive complete and uncut edition of The Stand. I hope to finish it before the end of the decade. All kidding aside, the book I did finish reading last year floored me. The Long Walk is a spectacular work of character focused story set in a near future America where an annual competition is held. It’s called the Long Walk and it sends 100 teenage boys out on a walking marathon that ends whenever the last walker collapses. The stakes are high. Any boy that breaks the rules or falls behind gets killed. The winner gets anything he wants for the rest of his life. This book is incessant. It simply doesn’t stop, which is fitting considering the nature of the Long Walk. King develops a simple plot and he builds on it slightly as the story progresses. 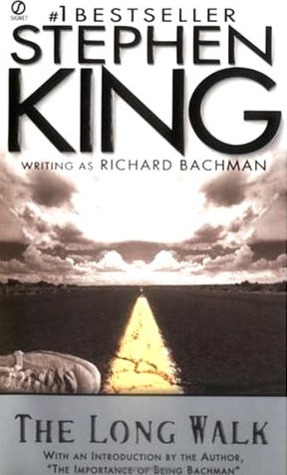 Yet, the truly excellent use of the story is that King doesn’t cheat the reader. The story moves along, ever forward, without hesitation. It’s this constant barrage of near future and believable barbarism that frightens me the most. This book was written when King was quite young but even then you can see his talent is clearly in characterization. More than half the boys in the Long Walk are given well developed personalities. It’s the realism in their depictions that makes this book pack a punch. These aren’t unknown faces or cardboard cutouts getting killed. These are real people who we’ve learned to like or dislike thanks to King’s skills as a writer. The inevitable deaths of most of these characters also make our liking them more poignant and emotionally devastating. This isn’t just an entertaining novel though, as plenty of interesting themes are included. The Long Walk can serve as metaphor for many things, the most obvious of them is war (probably the Vietnam War specifically, based on when this book was originally written). It also has a lot of interesting musings about death and humanity’s purpose in life. It’s quite an accomplishment and probably my favourite King book to date. Buy The Long Walk at Amazon. I sometimes wish that J.R.R. Tolkien had a body of work that included more completed texts. I’ll be the first to agree that The Hobbit is a classic of fantasy literature and that The Lord of the Rings is a masterpiece, regardless of which descriptors you force upon it, but that doesn’t seem like much in terms of quantity. I guess Tolkien is one of those writers where quality proves to be more important than quantity but as someone who adores his stories, it doesn’t seem like enough. That being said, there are countless supplementary books to find and read. That’s true even if you limit yourself to books compiled by his son Christopher Tolkien, all of which were published posthumously and some pretty recently. 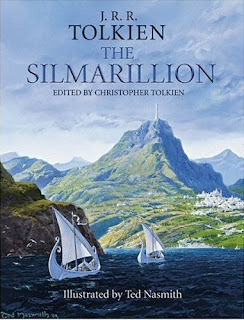 I think the reason I’m complaining a little is that this year I finally read The Silmarillion, which I personally consider the last of Tolkien’s main works (even if it wasn’t finished by him and might not necessarily look like what he had envisioned). The Silmarillion was among the difficult reads I set out to do in 2015. The density of information alone would be enough to dissuade many readers. Simply keeping track of the large cast of characters throughout thousands of years of history made for quite the challenge. However, I found that by taking my time I was able to better keep track of the characters and various proper nouns. It was still difficult, yes, but a manageable level of difficulty. The more I invested myself in The Silmarillion, the more I got out of it. What most impressed me in this book was the sheer immensity of Tolkien’s vision. Everything has a history and all of that is tied into a larger history, etc. His world building makes me think of fractals. Each layer of details or of story reveals an equally detailed level of stories the closer you look into it. The closer you look at it still, the more detailed stories are revealed. Unlike real fractals, the pattern isn’t identical from layer to layer, but it’s similar enough in terms of heroism and tragedy. If you consider that idea with the fact that The Silmarillion is excellent as a whole but within it there are individual chapters that are excellent on their own, it’s clear that this is a masterpiece that rivals that of anything else Tolkien has done. If you’re still not convinced that this book is worth your time, consider the fact that it contains some of Tolkien’s most badass characters doing the most intensely heroic deeds on an epic scale. Awesome is often overused in our modern parlance, but it applies to this book more than anything else I read last year. Buy The Silmarillion at Amazon. Prophet is my favourite comic of the last five years. It represents so much of what I love in comics and does it really, really well. It’s clearly a series that is telling a long story but it doesn’t shy away from smaller, more personal stories either. In fact, it uses the serialized storytelling capabilities of comics to great effect, giving readers shorter stories mixed in with longer stories, all the while continuing to move the plot forward. Everything is connected. When this series was still only a few issues old (approximately one volume’s worth of comics) it was hard to see what the main plot was. That didn’t really matter though because Graham, Roy, and all of their co-creators, were telling excellent stories from the beginning. It wasn’t clear where the series was going as a whole, but the creators weren’t waiting for a big payoff in some vaguely imagined future issue. We’ve been getting excellent comics from the very first issue of this rebooted series. One of the reasons I love Prophet so much is that it’s not afraid of having a stylistic and tonal identity that is unique in the field of American comics. This book is weird, you can’t deny it, but it’s not weird for the sake of being weird. It’s being intentionally strange in order to give the reader a sense of wonder and a bit of fear and gross out feeling that might exist with strange, frightening, and gross alien cultures (strange, frightening, and gross by human standards). The many artists who contribute to this title’s ongoing success greatly influenced the comic’s style and tone. I love that a lot of these issues use limited amount of narrative captions or dialogue. I love how much this story pushes the boundaries of primarily visual storytelling. I need to mention how much of a plot boost we get in this volume. Prophet: Joining makes the plot nearly crystal clear. Old Man Prophet and his ragtag team of outcasts are about to engage directly with the forces of the Earth Empire. A huge conflict is at hand and if this comic has shown us how dangerous outer space conflicts can be, there will be a lot of bloodshed and loss in future issues. I also really liked the two Strikefile issues which gave readers a lot of background information on characters, locations, and history of the series. I cannot wait for the next (possibly final?) volume of Prophet. 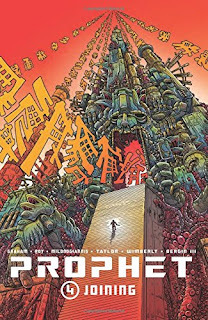 This is my kind of science fiction comics and I’m quite sad that I’ll need to wait several more months before reading the next volume, but if that’s what it takes for the creators to do their best, I’m happy to wait. 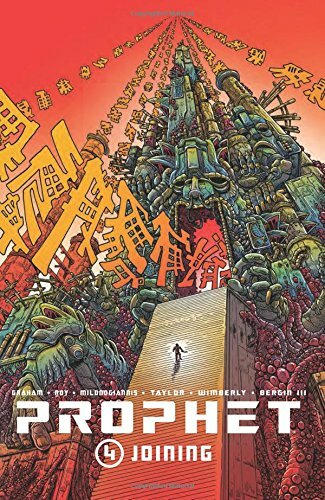 Buy Prophet vol. 4 Joining at Amazon. Ah, Ursula K. LeGuin. She’s the best, you know? The things she does with her books blow my mind on a regular basis. Since the early beginnings of Shared Universe Reviews I’ve been reading LeGuin’s Earthsea series. Admittedly I’ve been taking my time but taking my time really works for this series. Since there are big changes in terms of chronology from one book to another, those jumps work nicely with real world breaks away from the series. That distance between books helps to make each novel distinct in my mind. 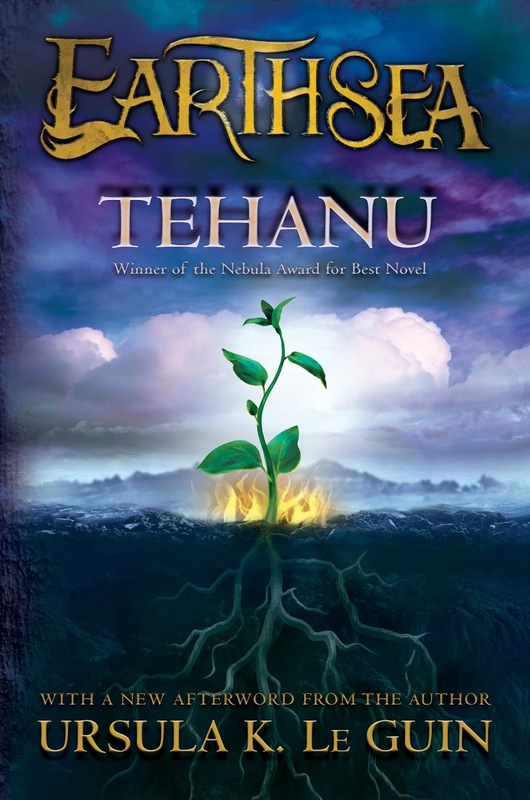 LeGuin tells very different stories from one book to the next and so far, Tehanu is my favourite. To fans of the series, that might seem blasphemous, but hear me out. 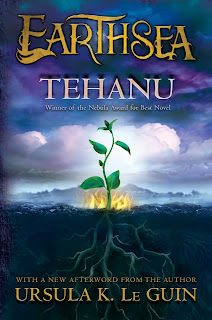 Tehanu is an unconventional fantasy novel. It’s a completely different kind of fantasy book that what we’re used to seeing today. It’s unique not because it’s using old tropes in new ways or subverting genre tropes. Instead, it creates new ones. There are a lot of important themes at play in this book but LeGuin approaches them from a distinctly fantastical point of view that is combined with a familiar and mundane day to day setting. This isn’t a book about huge and explosive manifestations of power and magic. Rather it shows the reader how powerful magic can exist even in the simplest and common aspects of life. The book itself doesn’t have to be grandiose in scale to be filled with meaning and thematic resonance. This is a powerful book that deals with identity, power, gender roles, daily and relatable hardships, fear, agency, will, and a few other lesser themes. All of which is written in LeGuin’s wise and poetic prose. This book explores what it is to be human and that’s its greatest strength. Magic is present, certainly, this is after all an Earthsea book, but fans of this series must know by now that magic doesn’t always present itself in the form we expect. It works in mysterious ways and so do people and it’s people that are the heart of this book and it’s from them from which the magic manifests itself.